Very Common around Puget Sound and the Washington Coast regions. Likes wet places, especially at the edges of standing water. Occasionally occurs on sandy beaches or dunes. It is an early seral species. Alnus rhombifolia, Alnus rubra, Baccharis pilularis, Myrica californica, Rubus ursinus, Salix gooddingii, S. laevigata, S. lucida, S. sitchensis. Layering, most stem cutting types. Course stems are more brittle than most willows. Surface sow seeds immediately after cleaned. Seeds ripen in late spring. Seeds is as short as a few days. Maximum storage can be extended to 4-6 weeks. For cuttings of mature wood of the current year's growth, plant from November to February in a sheltered outdoor bed or planted straight into their permanent position. For cuttings of half-ripe wood, plant from June to August in a frame. It grows well in light (sandy), medium (loamy) and heavy (clay) soils. It also does well with highly acidic and neutral soils, however it can also grow in saline soil. It requires moist or wet soil. Cuttings have highest success rate, they are very quick to establish, as well as cost effective. 3'+ for rooted plants, 2' for cuttings. Requires moist soil. Usually planted in riparian zones where little care is required. Pojar and Mackinnon. Plants of the Pacific Northwest Coast. 1994. California Native Plant Exchange. 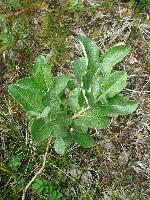 <http://www.cnplx.info/nplx/species?taxon=Salix+hookeriana>. Evergreen Native Plant Database. <http://www.evergreen.ca/nativeplants/search/view-plant.php?ID=00617&list_ID=00156>. Plants for a Future. <http://www.ibiblio.org/pfaf/cgi-bin/arr_html?Salix+hookeriana>. Plants for a Future. <http://www.pfaf.org/database/plants.php?Salix+hookeriana>. USDA NRCS. Producing Pacific Northwest Native Trees and Shrubs in Hardwood Cutting Blocks or Stooling Beds. November 1999. 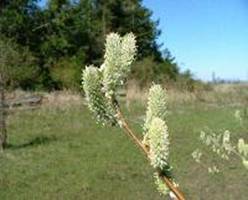 <http://72.14.203.104/search?q=cache:26UDtKnkw-cJ:plant-materials.nrcs.usda.gov/pubs/orpmctn241199.pdf+collection+restrictions+of+salix+hookeriana&hl=en&gl=us&ct=clnk&cd=1>. USDA Plants National Database. <http://plants.nrcs.usda.gov/cgi_bin/topics.cgi?earl=plant_attribute.cgi&symbol=SAHO>.